I’ve been playing this new game only about to be commercially available. Got a (Closed Beta Test) CBT ticket from facebook through a chance encounter with a post talking about one. 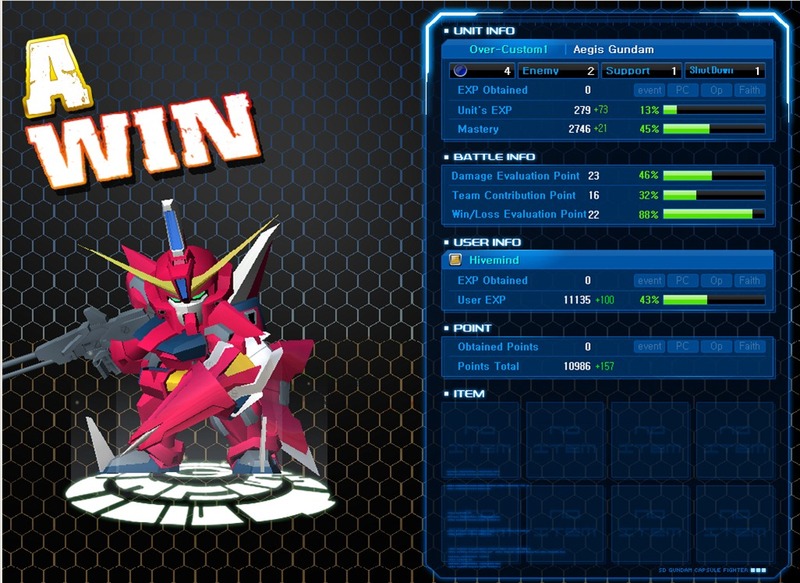 It is called SD Gundam Capsule Fighter. 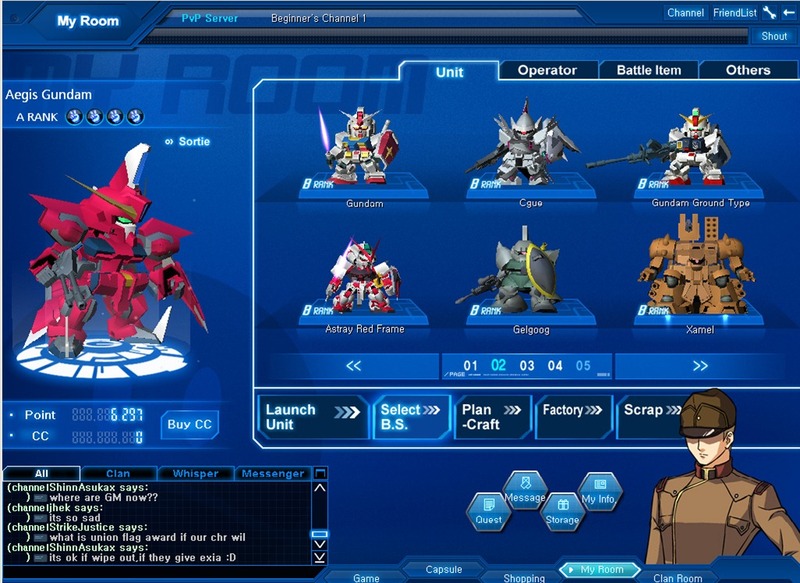 This MMO typology is nothing new, we’ve seen the likes of it with Gunbound and a host of other collaborative fighting games but the difference lies in the almost cult following of the immensely popular mecha anime series that is Gundam. 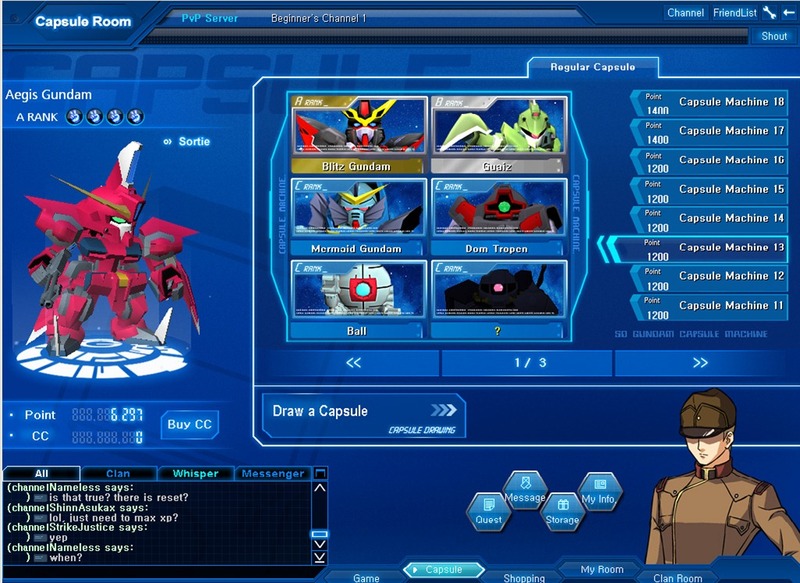 And then you click the ball and the new (rookie) mobile suit pops out. In this test I drew a CR rank which is slightly better than a C. The only A Rank Gundam I have and am using now is the Aegis Gundam. 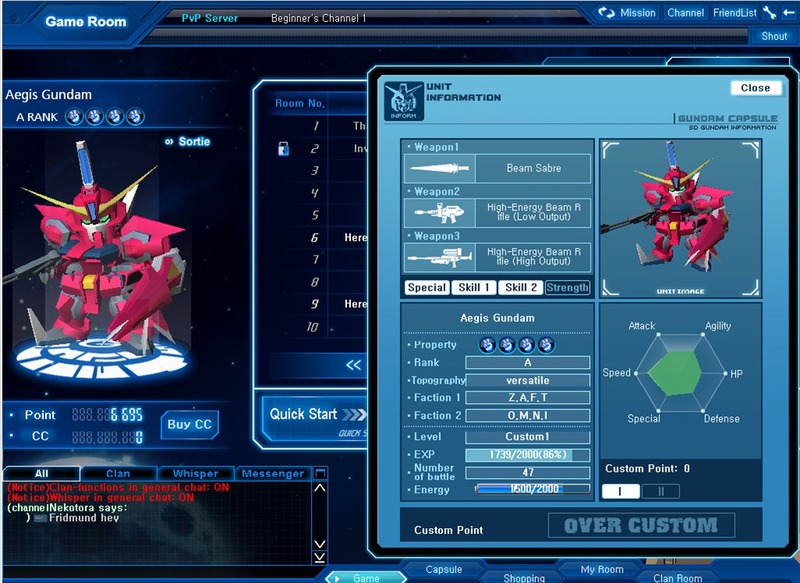 In the show this is an enemy mobile suit piloted by Athrun in Gundam Seed Destiny. 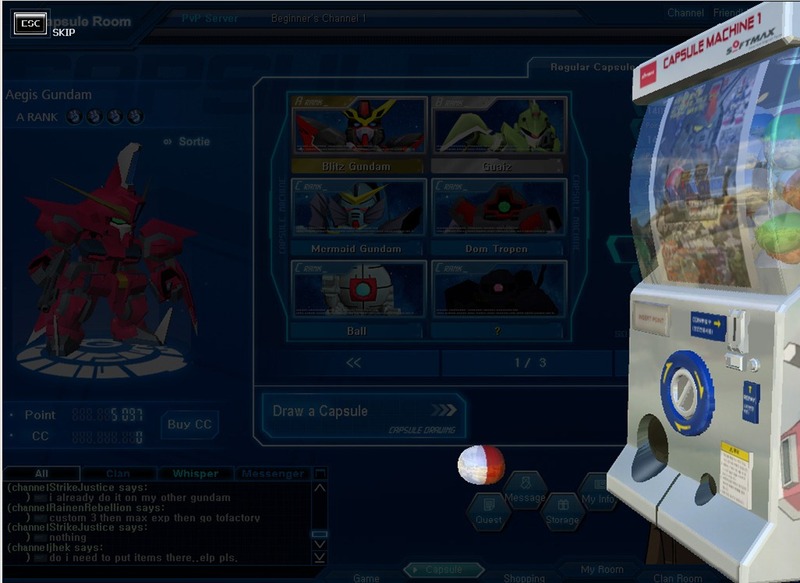 Thus far none of the Gundam Wing mobile suits are found in the ranks but the capsule machines aren’t filled out either so we will still probably get to see those in action in later patches. 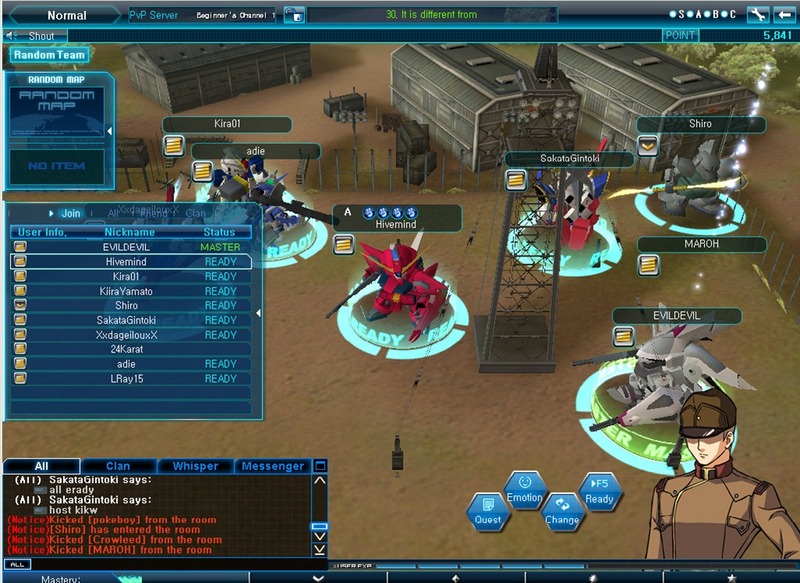 You can talk with other players and move your mobile suit around while in this area. This is what it looks like inside a battle; you have a map which shows you where your opponents are and all of you are flying around and zooming past each other in an attempt to knock out the enemies while taking minimal damage to your own machine. This team play match allows you to re-launch as many times as you are shot down and the score is determined by how much more kills both teams have. 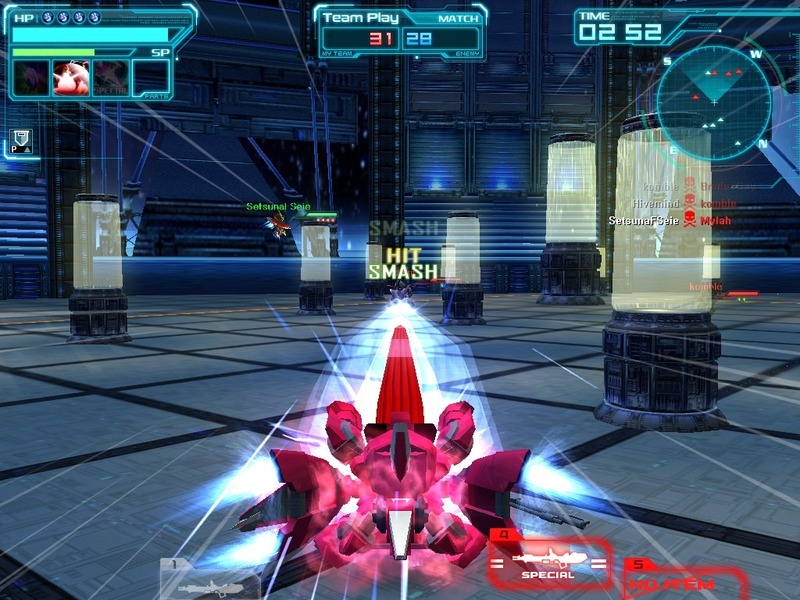 You can see the Aegis here in MA mode and shooting out a special attack at one of the enemies. And this is what it looks like when the battle is completed, you either win or lose and statistics are shown on the right side. 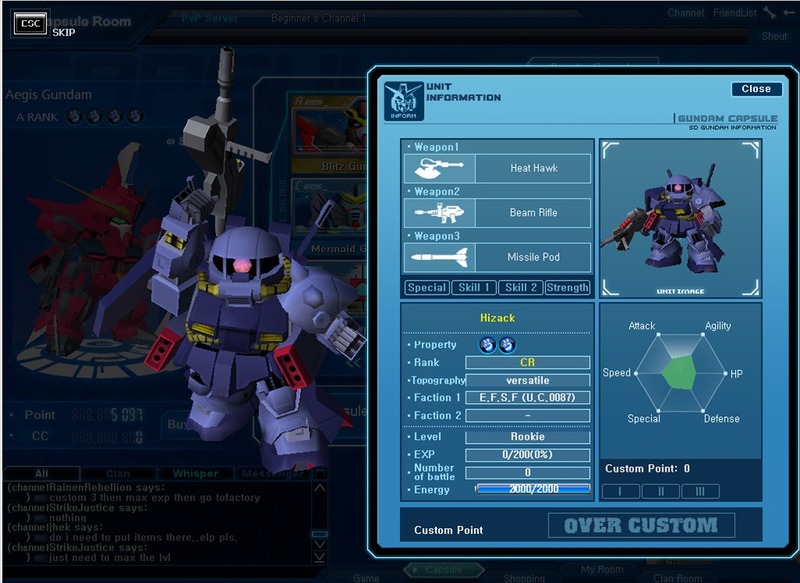 It is a very nice game in the sense that collecting and leveling up your mobile suits alow you to really grasp how the machine is supposed to be used. 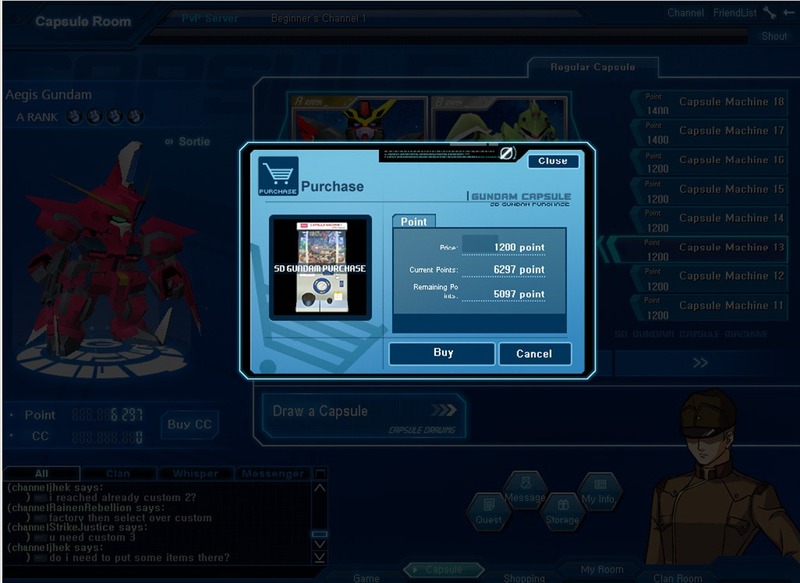 You can also customize colors by buying paints from the shop. This game does have a fairly long playability and can host tournaments if needed without too much of a hassle. The CBT ends tonight so testers are really hoping that it wont be a complete wipe or at the very least some form of reward… like the Exia for 200 PVP kills which is an ongoing CBT event now. Its quite fun and I wouldn’t mind keeping it on my computer for long. Once the open beta starts then more people will come in and that would make for a very crowded Heliopolis server. I would probably invite all my Ragnarok buddies to take a shot especially since these models are all familiar and new game challenges are always welcome. WD Sentinel – Its like a safe but smarter!